Mink fur scarf never ages. 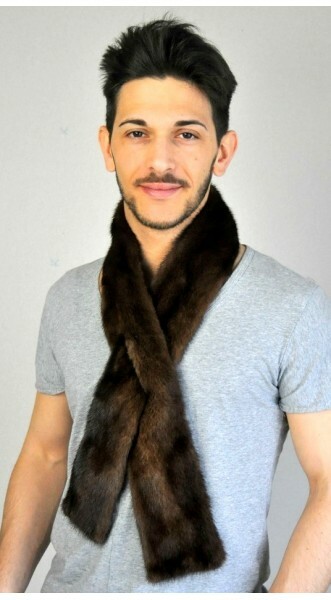 This Scandinavian mink fur scarf is stylish, soft and warm. This scarf is perfect to be trendy men even in cold winter. Its color is absolutely natural. Inner polyester lining. Each of our fur accessories is handmade in Italy. We ensure best quality materials. Length 115/120 cm. Width 9/10 cm.